This video is the first in a series of video works – Lessons in China – that draws from material I have ‘gathered’ from my experiences and interactions with local people in Kaifeng, People’s Republic of China, where I was working as an English language teacher. Buds are More Precious than Blossoms is the first of this series. In an area not far from the International Learning Centre at Henan University is a place called ‘English Corner’. Here, and in surrounding areas of the university campus, students practice and study their English – not silently, but verbally and loudly, in oration, and in seemingly oblivion to the other scores of orating students sharing the patch of garden. 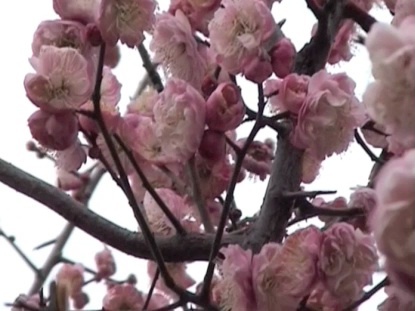 I arrived in Kaifeng just as the plum blossoms were beginning to appear. 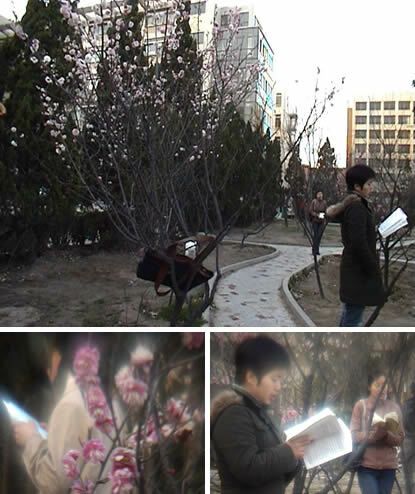 It was a very strange and mysterious vision to see so many students standing for long periods in icy cold conditions in amongst the delicate pinks of the plum blossoms reciting their English. The vibrational murmur created by the students’ recitals was often apparent before they were visible. The title of this work is derived from one of the required ‘charms’ considered necessary for appreciating the Plum Blossom: the bud being considered more precious than the fully-formed blossom. 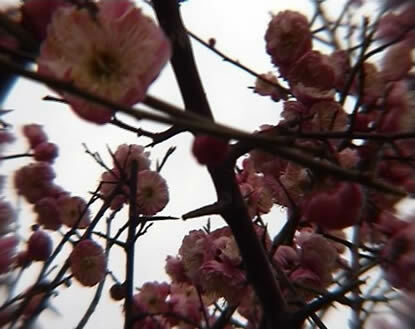 It also refers obtusely to the ‘Hundred Flowers’ incident during the Cultural Revolution. These students might be considered today’s ‘buds’ - tomorrow’s ‘blossoms’. In their ‘budhood’ they appear to bear a palpable romance concerning both their personal futures and the ‘contributions’ they emphasize over and over again that they will make towards the future of their nation. They simultaneously possess a tactile pragmatism in relation to the importance of having English language proficiency and the extreme competitiveness that they will be confronting in their journey from bud to blossom.